Motorcycle enthusiasts sink a lot of money into their rides by adding extra equipment, personalizing and modifying them. One way to help reduce the overall amount that you spend on your bike is to start with a used motorcycle that you can customize the way you want. While buying a used motorcycle is, in theory, a perfect solution, insurance doesn’t cover the damages that come when you purchase a bike that is mechanically unsound, so you need to take care in getting the whole story about the bike’s history. · Ask if this is the bike’s original owner: If you are buying the motorcycle from its original owner, then they will know the bike’s whole history. If not, there may be skeletons sitting in the bike’s closet. · Ask if the bike has ever been in an accident: If the motorcycle’s been in an accident or has been dropped, it’s possible there is irreparable damage to its frame. You can also enter the bike’s VIN number into the Carfax system to get a report. · Get the maintenance records: A properly maintained bike can be a good buy, but a bike that has had no tune ups and little attention paid to oil and other fluids could be a nightmare. You should never purchase a new or used vehicle without first test driving it. When you test ride a used motorcycle, take care to wear a helmet and only test drive it if you have a Class M license. When test driving, About.com suggests that you check the bike’s acceleration, clutch, and brakes after you’ve gotten used to the way that particular model rides. About.com also suggests that you listen to the bike as you test drive it. Listen for excessively squealing brakes, a loud muffler, rattling in the shocks and a “droning” sound from older bearings. When buying any used vehicle it’s a good idea to run the vehicle by your mechanic before you fork over any cash. Unless you are a mechanic yourself, it would be difficult to get a more thorough endorsement. 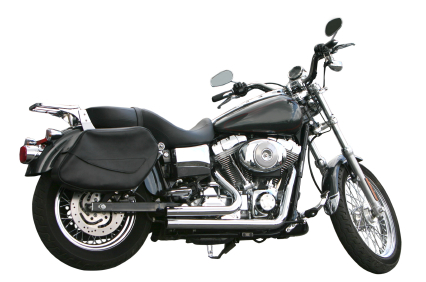 If you are concerned about insurance on your new used motorcycle, give us a call before you buy. We can discuss the many discounts, benefits, limits and deductibles available to you so you understand how your insurance policy will impact your bike-buying budget. Contact us at (800) 212-2641 for a free Texas motorcycle insurance quote or visit our office. We are excited to announce that with Progressive Insurance you can now quote and purchase your policy online! If you want an agent that is personally available to you 24 hours 7 days a week Shawn Camp Insurance is your agency. Just fill in the form to the left and get started with your customized policy!